The first auction, Muscle Men Figurines Kinnikuman – Lot of 28 + 4 Misc Figures, 1 Transformer?, is awesome. It is a huge lot of Future Strength figures, plus a few painted counterfeits, and a couple I don’t know – or care about. The lot of figures is starting at $8.76. I think it is an incredibly fair opening price for such a unique lot. 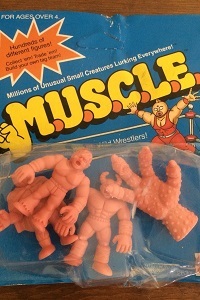 I think it is also going to attract the niche of M.U.S.C.L.E. collectors that love these types of figures. 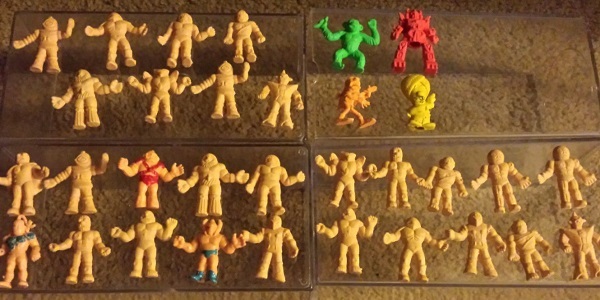 The second auction, M.U.S.C.L.E. 4 Pack w/ Claw Vintage Wrestler Wrestling MUSCLE MEN Mattel 1985, is interesting to me because the 4-pack is in such poor condition. It is possible that someone dying to have a #153 4-pack will keep it closed. However, in this condition, it seems like an opener to me. And the “opener” is looking for a mint #153 figure. This auction feels like it is actually a mint #153 auction, which makes the $19.99 opening price interesting. We see people overspend on #153 all the time. Would someone pay $20 for a mint Flesh version? Or am I being crazy? Regardless of condition, is this a #153 4-pack auction? 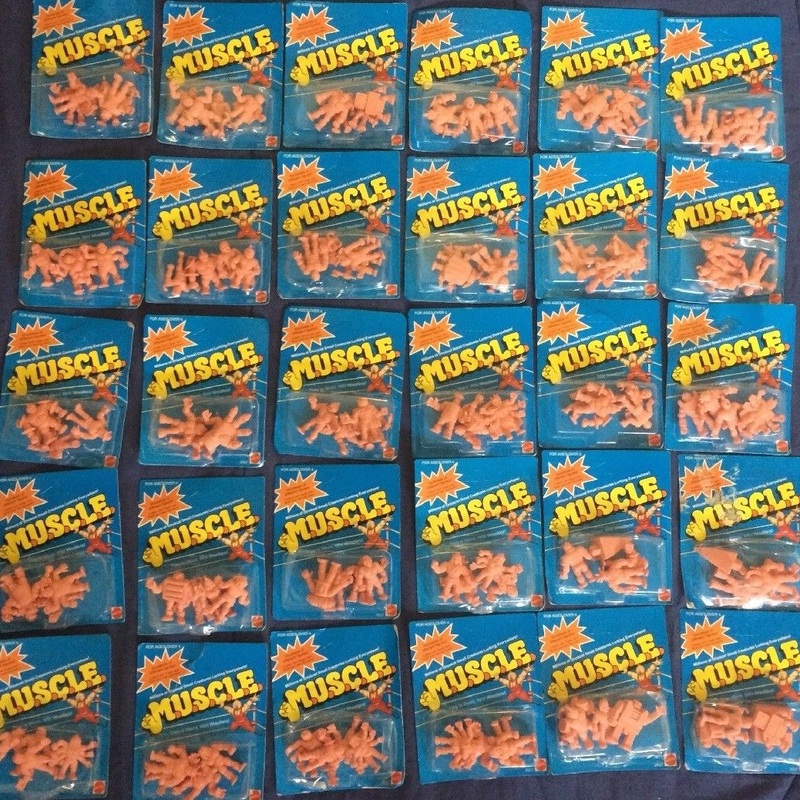 The third auction, 1985 Mattel Muscle Men Action Figure Lot of 30 vintage sealed 4 packs, could be seen as awesome, interesting, or terrible. I didn’t think it was awesome or terrible. I thought it was interesting. The opening bid price works out to $16.67 per 4-pack. I don’t think that is a terrible 4-pack price. But that’s a final price for fair condition 4-packs. If you purchase this lot, then you probably plan to sell a fair portion of the lot. Who wants to spend more than $17 on a 4-pack in, at best, fair condition? And $17 per 4-pack provides the reseller zero profit. Why do it? That’s why the $1,200 BIN ($40 per pack) is so surprising. That price is only reasonable to the person with an extra $1,200 burning a hole in their pocket AND wants 30 4-packs in fair condition. I’m very interested to see what happens with this lot of 4-packs. If I was forced to make a prediction, then I would say nothing happens with this lot of 4-packs. It will be relisted twice with the same prices. Then someone will contact the seller and close the deal off of eBay. If I had to guess that price, then I would guess $300 for the lot. Single 4-packs listings, for $25, will be listed not long after. That’s just my best guess. This entry was posted on Thursday, November 2nd, 2017 and is filed under Auction Watch, UofM News. You can follow any responses to this entry through RSS 2.0. You can skip to the end and leave a response. Pinging is currently not allowed.